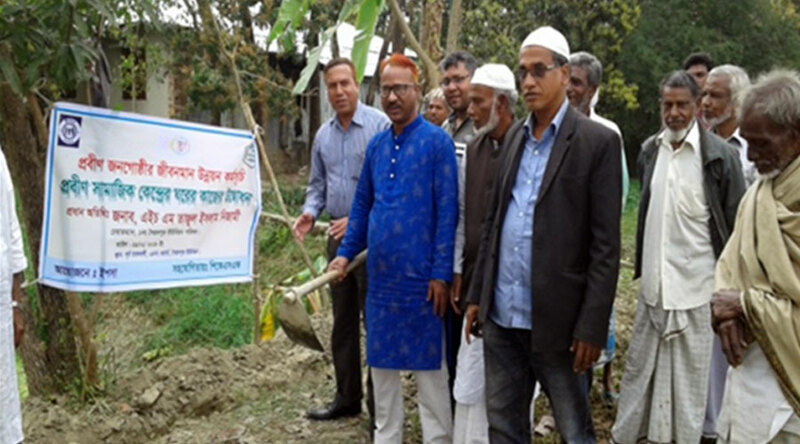 In 2010, YPSA a reputed nonprofit organization in Bangladesh launched an elderly care and support program in the southeastern part of Bangladesh. The project targeted remote costal rural areas for piloting purposes. The number of people over 60 years of age is increasing rapidly in Bangladesh. This fact represents a developing challenge as the elderly will have special needs and require different caregiving services. Bangladesh does not have a social welfare system so there will be a struggle to ensure sufficient resources particularly around health and medical services. Good nutrition and health of elderly people will depend on satisfactory food, safe water, proper sanitation facilities, and maintaining hygienic standards. 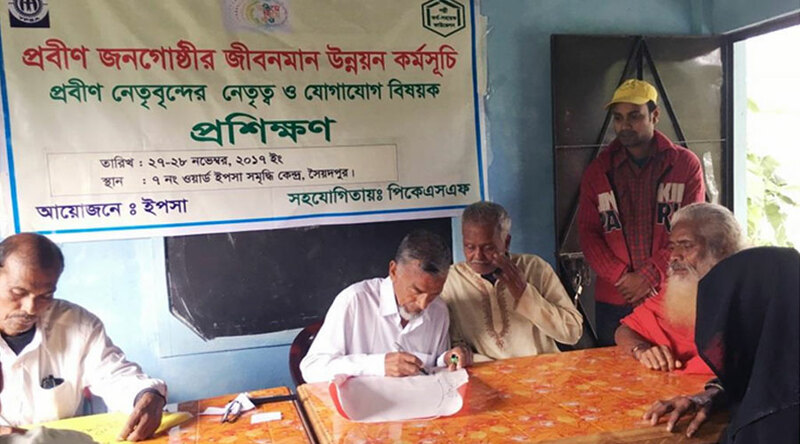 Previously in Bangladesh, it was seen as a familial responsibility to take care of older relatives but the situation has changed due to developing social, psychological, and economic perspectives. The rapid changes in society on the one hand and an accelerated growth in numbers of the elderly population on the other, mean it has become a big concern for Bangladesh. The majority of people aged over 60 live in rural areas where there is a lack of proper counselling, support, health care services and economic services and where job opportunities are very limited. 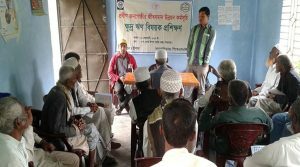 In 2005, YPSA first came across some research by Professor Hafiz Khan called “The Ageing population in Bangladesh” that he conducted at the Oxford Institute of Population Ageing, University of Oxford. 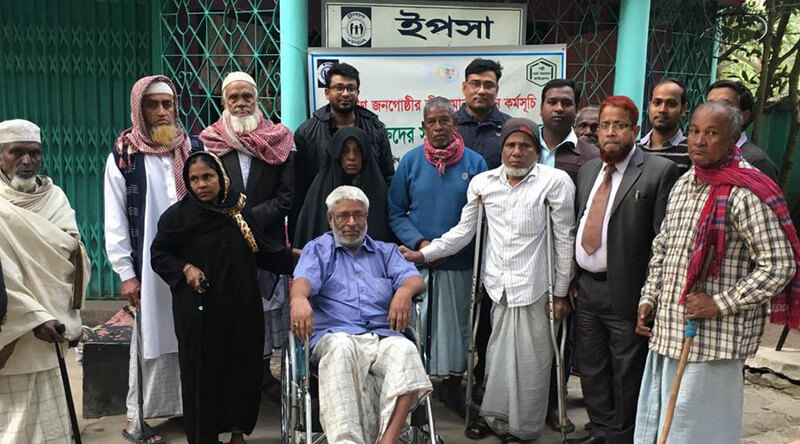 This generated further interest in elderly issues and YPSA contacted Professor Khan and were inspired by his pragmatic ideas and plans for helping older people in Bangladesh. Professor Khan has vast experience in research, teaching and working for charities in developed and developing countries including the Sir William Beveridge Foundation. 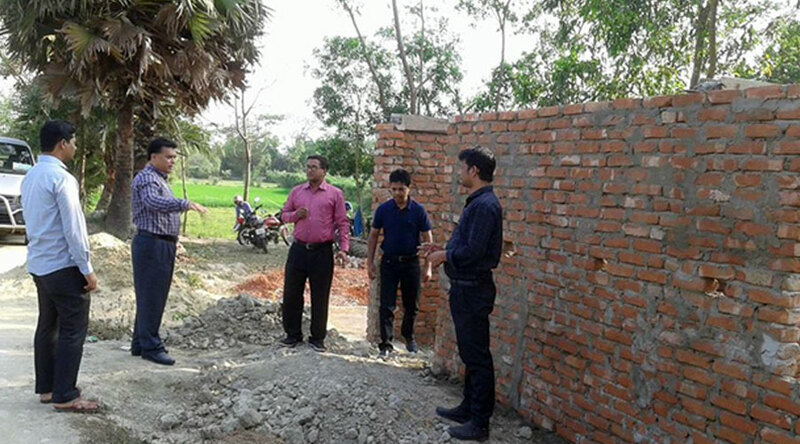 We are privileged to be able to put his research skills and knowledge into practice on our Sitakund site. YPSA greatly anticipates that Professor Khan’s research on global ageing will make a real impact to help further improve the quality of life of elderly people in Bangladesh. He is now providing us advice from the University of West London in the UK (http://www.uwl.ac.uk/users/hafiz-khan). This is an innovative and integrated YPSA program supported by PKSF (Palli Karma Sahayak Foundation) and concerns the wellbeing of the older community at Sitakund, Chittagong. YPSA is committed to work on issues related to the empowerment of elderly people and to improve their lifestyles. YPSA supports older people by building strong relationships with local government and duty bearers in a comprehensive and integrated manner. Counselling is being provided to family members and the elderly in order to gain understanding of the issues related to old age for young family members. Older people also know what can be bad in old age and can greatly benefit by changing their traditional lifestyles. Around 90% of elderly people in Sitakund, Chittagong had experienced health problems and many had multiple problems. They mostly suffered from weakness, failing eyesight, hearing loss, high blood pressure, diabetes, heart disease and other illnesses related to old age including dementia and Alzheimer’s disease for example. It has been found that they will avoid consulting with a physician because of poverty or health services not being available in the community. YPSA has strengthened the services of a community clinic as well as assured the regular presence of physicians at this clinic and satellite clinic. Moreover, YPSA is also providing physiotherapy for older people at Sitakund that provides a service at minimal cost to them. YPSA is trying to alleviate poverty in the older population living in the Sitakund area by helping them to claim the old age allowance from local government (Union Parishad UP). If local government does not provide this allowance then YPSA itself provides it. Poor and vulnerable elderly people are selected very carefully and currently around 75 of them are given 600/- Taka per month by YPSA. As the numbers continue to rise, YPSA will support them for as long as possible backed by a financial commitment from government and foreign donors. 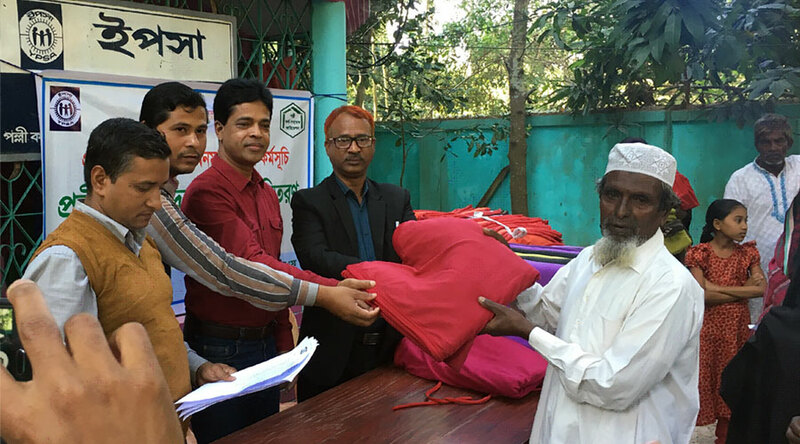 YPSA also provides blankets, umbrellas, torchlights and other materials to poor and needy older people following discussions with the elderly people’s committee. 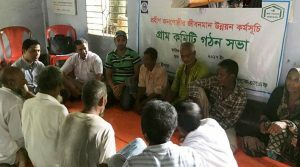 Most of the older generation in Bangladesh lives in absolute poverty. To help alleviate this situation, YPSA has provided necessary training to older people so they can then engage in their own income generating activities. In addition, YPSA has provided easy loans (inclusive of financial support) to older people to help them start their own enterprises or small businesses. This support is helping to reduce the poverty experienced by older people. YPSA has formed a multi-layered committee of elderly people from village to union level. The main function of the committee is to work for the wellbeing of elderly people. This committee is now networking with government and related service providers. A social centre enables elderly people to come together and take refreshment and enjoy each others company as well as providing recreational and leisure facilities for them. Hope this centre will become very popular. They can often meet together and engage in recreational activities such as listening to music and playing indoor game like carom, chase and lodu. An orientation project has been introduced in Sitakund to help increase capability, communication skills and leadership skills of marginalized elderly people. 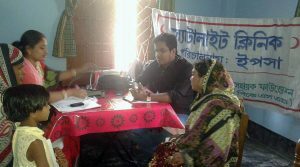 Training in microfinance and Income generating activities has also been provided in the Sitakund. 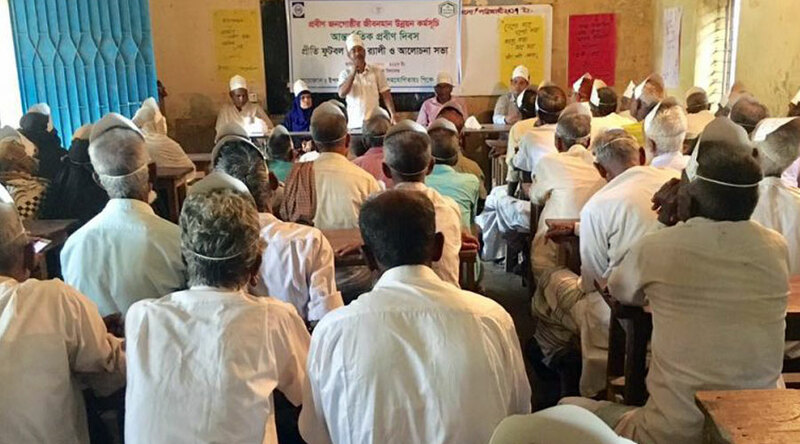 More than 150 elderly people have participated in these training activities. 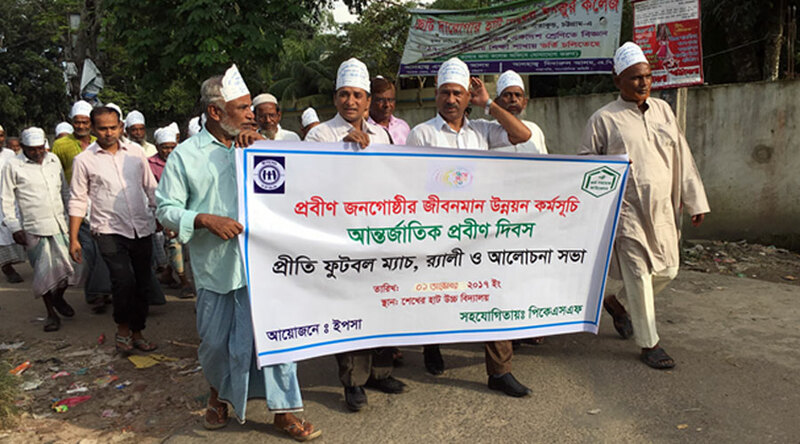 More than 200 elderly people in Sitakund participated in celebrations organized by YPSA for the observation of International Day of Older Persons . They took part in a rally, a discussion meeting and a friendly football match. 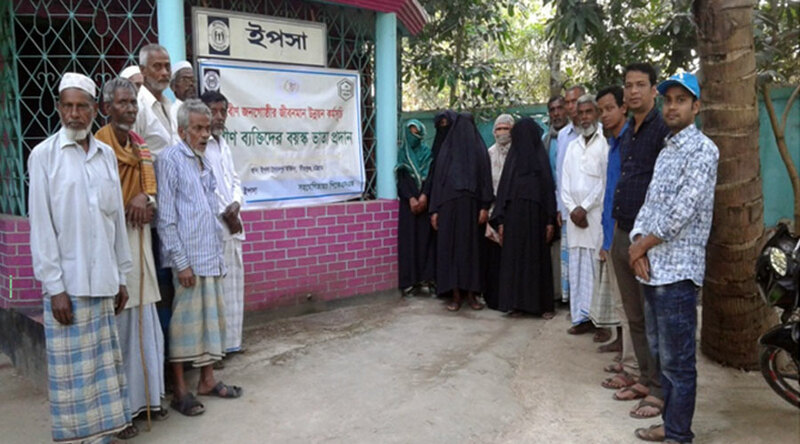 The elderly in Sitakund also celebrated International Human Rights Day and International Women’s Day. 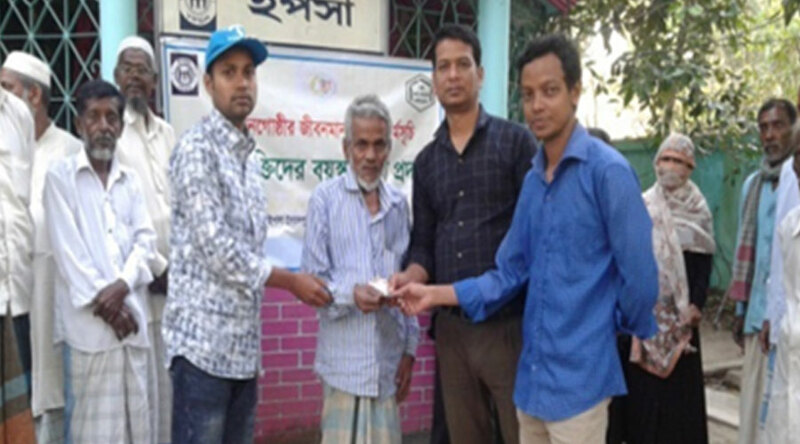 YPSA provides financial assistance to families for the funeral prayers of elderly people. This has amounted so far to 30,000/ taka for the funerals of 15 elderly people. YPSA has recognized the efforts of young people and their families for taking care of older people. It has compiled a list of those elderly people that have made an outstanding contribution to society and annually awarded medals, certificates and financial assistance. Provide elderly people needed support; 1 wheel chair, 2 crutch, 10 walking stick and 2 white cane. 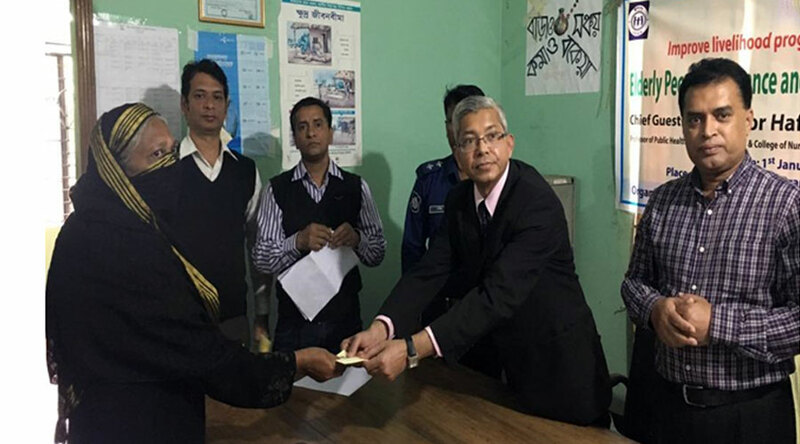 Special assistance to physically and deprived elderly people 1 people- 4,000/ taka monthly.